On behalf of the staff at Prestige School and your local public school district, I am happy to welcome you to the 2018-19 school year! We are looking forward to a productive partnership with you to ensure our children can achieve their highest potential. We recognize that in order to be successful in school, our children need support from both the home and school. We know a strong partnership with you will make a great difference in your child’s education. 6) Knows that you expect him/her to succeed in school and go on to be successful in everything they do. We sent home the student handbook so that you and your child can review them together. If you have any questions about the rules and expectations, please feel free to contact me or to discuss them with your child’s teacher. 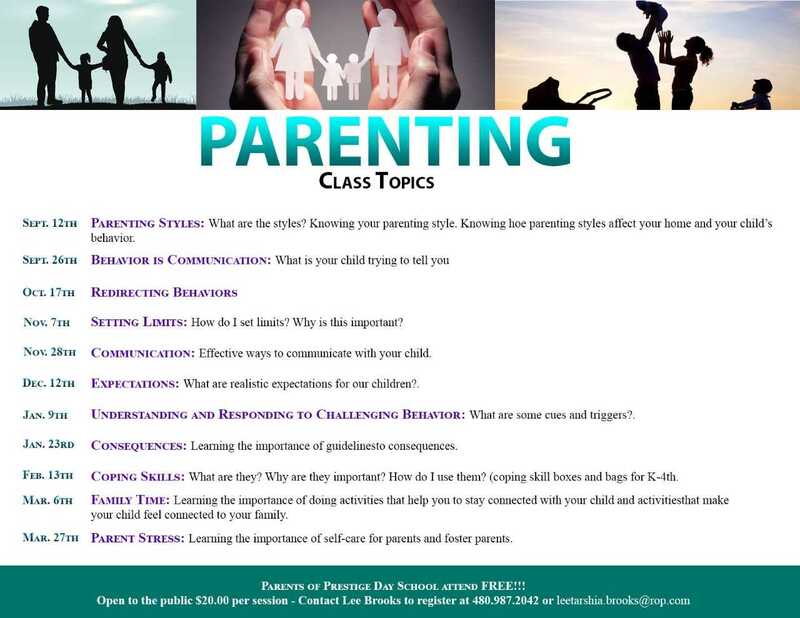 It is very important that you and your child are fully informed regarding standards related to appropriate behavior for a safe and productive school year. The wonderful Prestige staff and I feel privileged to be a part of your school family. We thank you for your support and look forward to a great year. Rite of Passage programs offer youth unique experiences while providing quality education and teaching skills that youth will need to succeed as young adults. Prestige Day School recently offered one student an opportunity not many have: throwing the first pitch at a professional baseball game to raise awareness of a condition that impacts more than 3.5 million Americans. 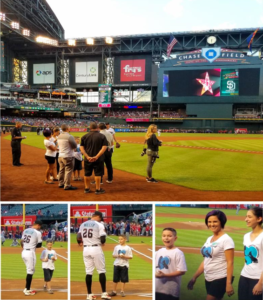 Recently, a student from Prestige Day School threw the first pitch of the Arizona Diamondbacks vs. the San Diego Padres Major League Baseball game for Autism Awareness Night. The student, Caleb, was accompanied on the Chase Field ballpark by his mother, Tosha Tharp and David Gallant, a teacher. Numerous Prestige staff members were also in the stands to support Caleb, including: Director Shawn Hill, Special Education Coordinator Michelle Carne, and Lead Behavior Specialist Carl Johnson.